Generations of customers have worn this Dickies favorite. Bib Overalls Bring Comfort, Convenience & Plenty of Pockets. Men’s overalls have a loose fit that's 100% comfortable whether you're sitting, kneeling, bending, or getting on and off ladders and heavy equipment. Legs fit easily over boots. Straps adjust to fit. Dickies overalls are built to last of tough 100% cotton. Choose from durable denim, duck and traditional hickory stripes once considered "Sunday Best." 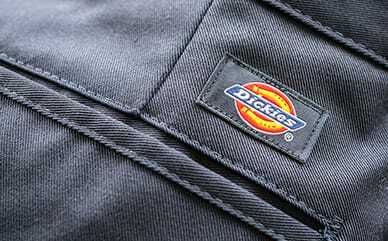 Genuine practicality is what makes Dickies overalls so popular. Every pair has a bib full of pockets, dual tool pockets on the right leg, and a handy hammer loop. Sturdy triple-stitched seams stand up to everyday wear. Hold everything! 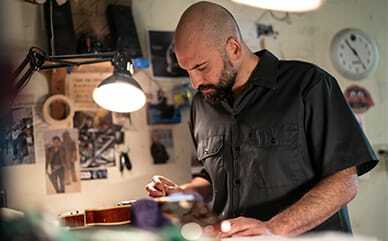 Not only are Dickies overalls designed with a roomy fit and adjustable bib, they've got the original pockets, loops and classic detailing guys love. (Plus, your shirt stays tucked in without a belt binding you.) No surprise this comfortable workhorse is a big customer favorite and has been for generations. Dickies Bib Overalls for 10 years or so. He does not want any other brand.